Help us spread the word! 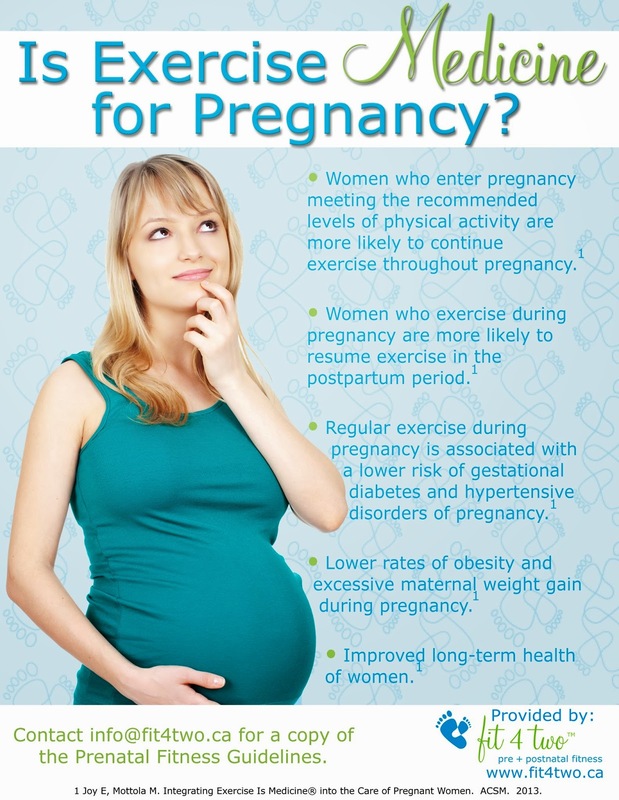 Women need to know that not only is exercise safe during pregnancy, it is recommended. Active living is part of a healthy pregnancy. Fit 4 Two will be posting information and tips on Facebook, Twitter and Pinterest. You will also see us on some of your favorite news programs. The poster below is available for your clinic, office, building or community board. Drop us an email and we will send you a copy.